OOOSH! After a brief hibernation (there really was snow on the rooftops this morning) we are back to jump in Mr Zlog himself, Zach Hoffner. Pretty excited introduce him not only because he has been a solid supporter since the beginning, but also because I like to tell the story of when we first met. Well, I haven't told it that much actually so here we go. Over the new 2 weeks I emailed him just about every day. And he came through, when I was home at the end of the month he had shirts available and even better, we were in the same city. Dang. You know what that meant? Meet up. In my mind, Zach was (still is too) the epitome of Fixie Famous, so when he invited me to pick up the shirt at the Zlog Headquarters, where all the magic happened. I almost could not contain myself. Seriously. I saw his Davidson in real life and that Ortlieb bag with all those fancy stickers. Please keep in mind that all my connection to the fixed gear frenzy was over the computer, real life tangible bikes and people were a novelty I was unaccustomed to. I don't really remember the exchange but I think I spent more time looking at his bike than anything else. Once I had the shirt, it was all down hill from there. Well, we had a slightly less awkward second interaction. I went to buy myself some jeans and low and behold, it was Zach who was the one who rung me up. This was only 2 or 3 days after I bought the shirt from him. I can't remember if I was even wearing the shirt but I just remember being slightly uncomfortable. 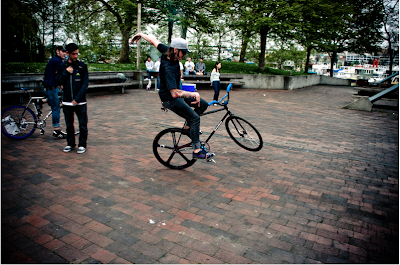 As I just said, Zach has been an all around supporter from the get go, for bikes, for Seattle, for just about everything. 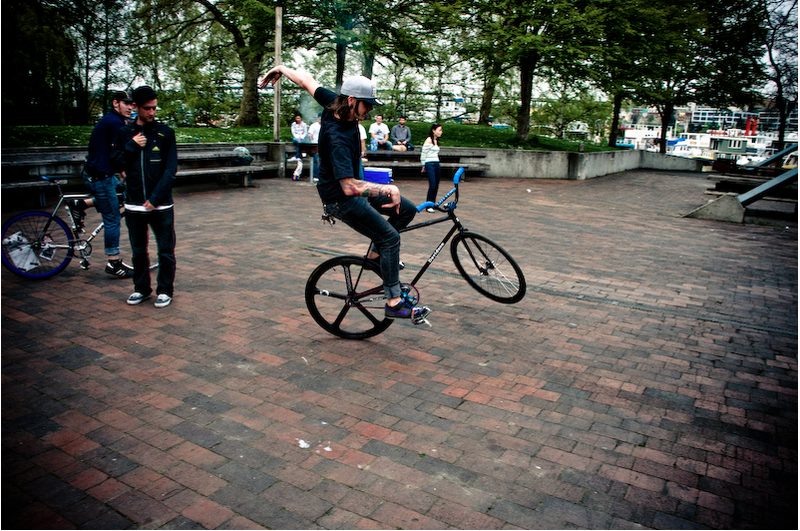 With diligence, and many hours on the computer, he has established a name for Seattle as a pinpoint on the map of the fixed gear movement. Over the past years, Zlog has become synonymous to me with bikes, good times, and family. My parents even read it on the daily. Zach is persistent and is always working on some new angle. His dedication and commitment is admirable. He has a vision and is going to see it through regardless (don't believe him if he says otherwise). We at CSK are incredibly excited to have him aboard. Enjoy getting to know Zach and more of what he is about. I get support from my friends (Seattle riders you know who you are) and I ride for myself with no need for sponsors in the traditional sense. I appreciate those who read ZLOG and contribute to it as well. Other sub-cultures wish they could have the amount of positive and talented folks that currently make up the fixed scene. Shout out to The Revival Film and all of the Bootleg Sessions vids that kept me pushing my limits. And to Mash and Macaframa for making me giddy for hill bombing. CSK: I’ve got at least 18 ZLOG shirts stacked in my closet now. How many different designs have you printed the past few years? What direction are you looking to take the designs for 2012? ZACH: Oh man, I can't even count that high, especially if I include one-offs, alternate colorways and samples that never made it into production. As for 2012, I am not the type of designer that has seasons planned out way ahead of the game, I have plenty of designs that I haven't released yet, but the tee game is over-saturated, so maybe I will throw everyone for a loop and do something different. Only time will tell. You recently started printing your own shirts. Do you feel like you have a bit more ownership over each of the pieces knowing that you made them yourself? Yes, I do feel like more of a complete artist after printing my own designs. I definitely am a better designer than printer, therefore I will only print some of the more simple designs myself for the time being. I plan outsourcing (local of course) some more complex designs to professional print shops to get better quality and consistency. Any projects or collaborations in the works for the year (Besides the CSK one that I haven’t told you about yet)? Collaborations are always in the works, but are never set in stone so I feel like I would be jinxing it if I blurted all of the collab ideas I have in mind. A CSK mash-up is definitely necessary. I would like to collaborate on some components one of these days. Is it too far in to 2012 to do some reflecting? If not, tell us about a favorite ZLOG related memory of 2011? There are too many to choose from, but if I had to pick one I would say the Portland day trip. What’s your strategy for 2012? Any overlying theme or vision? Any words of wisdom you want to impart on us? C'mon that's three questions in one! I don't even have my day planned out for tomorrow let alone any sort of strategy. Best Seattle food to eat before riding? 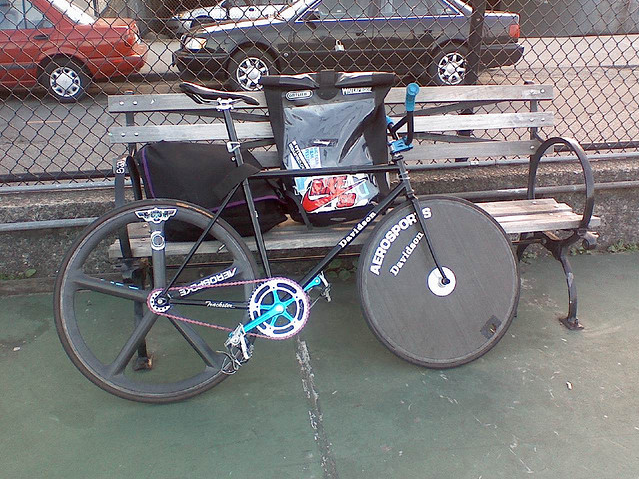 What single memory inspired you to get a fixed-gear bike. That's a tough one. I can't pinpoint the specific memory, but for some reason I got stuck on looking at those silver Bianchi Pistas every day on the web. Don't remember why I was drawn to them. I ended up getting one tattooed on my chest though when I was 16. Live and learn I guess. February's book of the month was John Maxwell's,The 17 indisputable laws of TeamworkNot sure if I'm sold on it. In my sights, team success stems from individuals achieving their own goals rather than through making sacrifices for the greater good. By me getting mine, we will get ours. That's just me though. I'm going to tackle Covey's, The 7 Habits of Highly Effective People next. That's supposed to be the big league stuff.